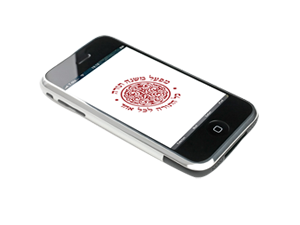 App edition for smartphones, suitable for those who learn on the road, studying maimonides follows you everywhere. the illustrations and the tables are all as they appear in the printed editions of the “Mishne Torah Project”. The app supports both Android and Apple phones, and can be downloaded for free from GooglePlay or from the AppStore. the volumes can be purchased directly from within the app. After the purchase is completed the book will be available for download on your device. Since the content of the app is taken directly from the printed edition, the learner gets to study from the most accurate nusach in the world, according to Maimonides’ manuscripts, carfully vowelized and punctuated. “everywhere”, and the availibilty and simplicity of the app invite you to study. The app is free – The volumes need to be purchased.